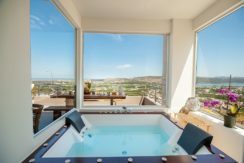 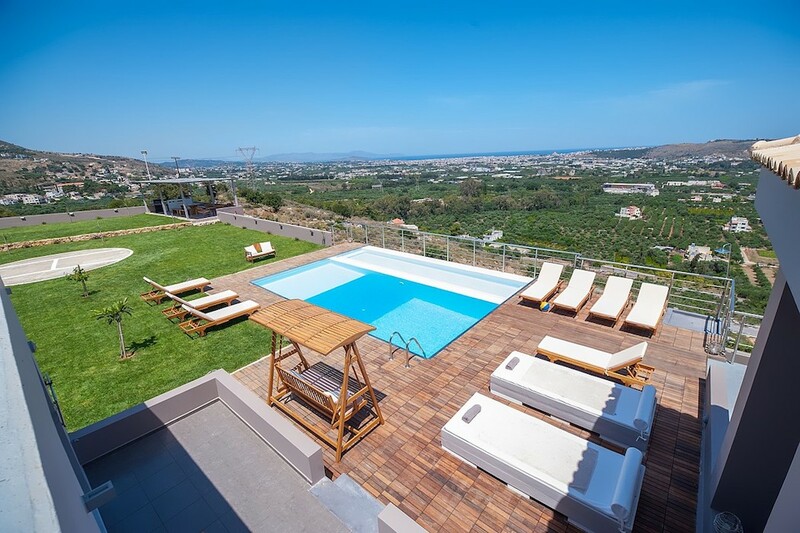 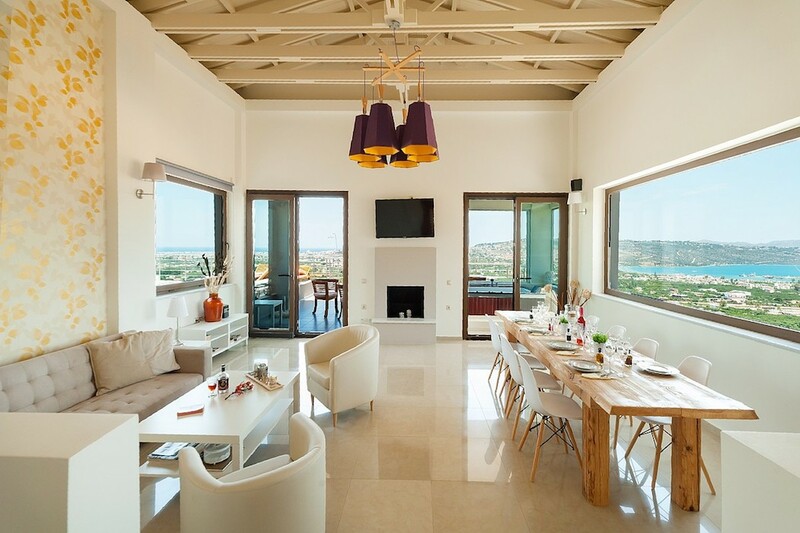 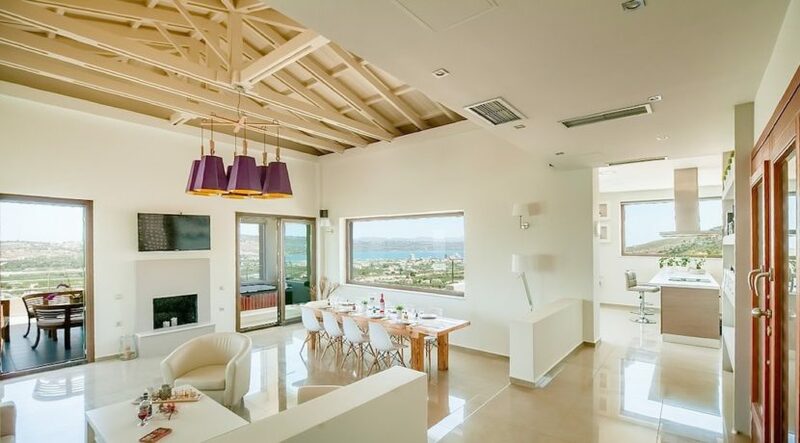 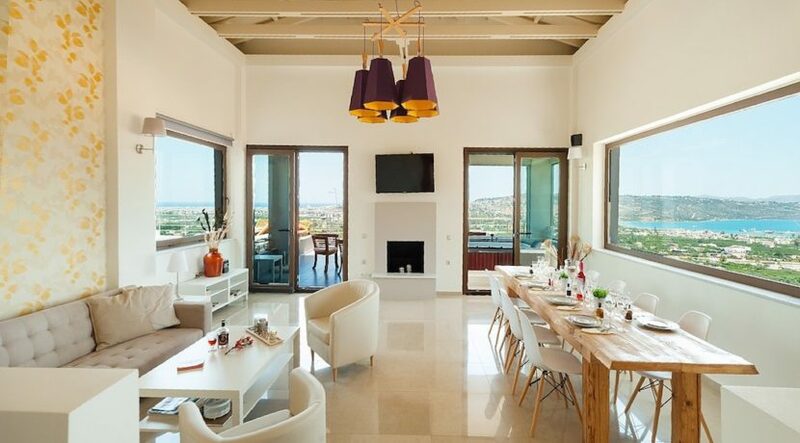 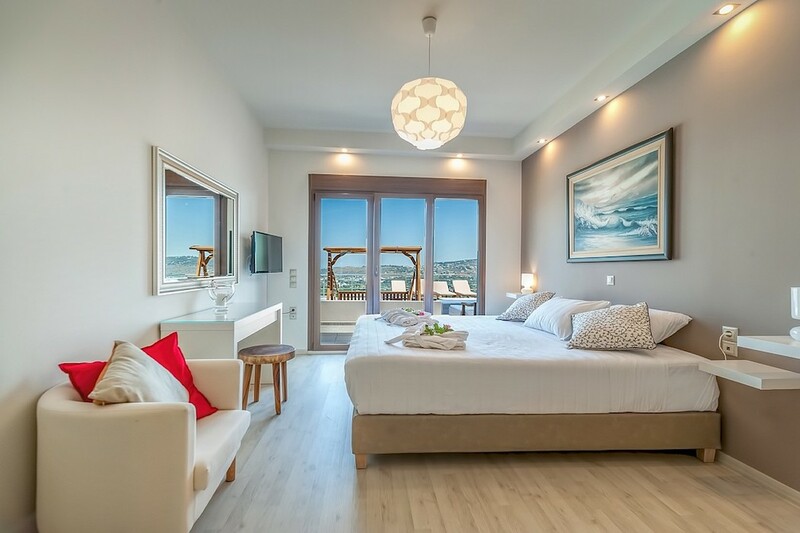 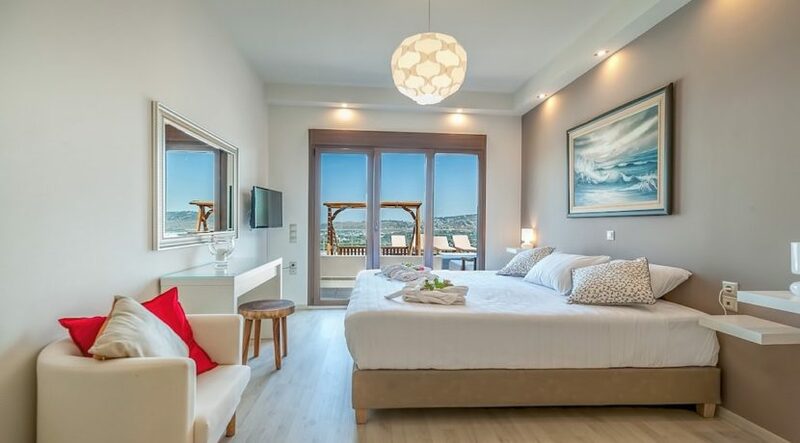 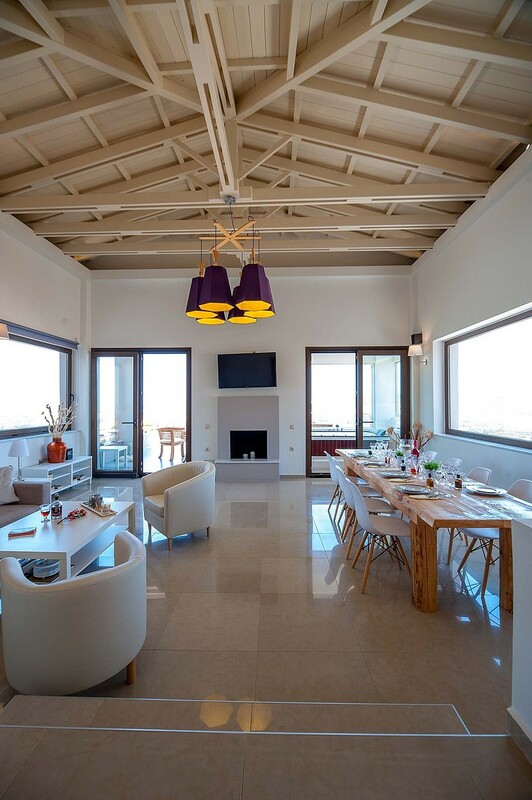 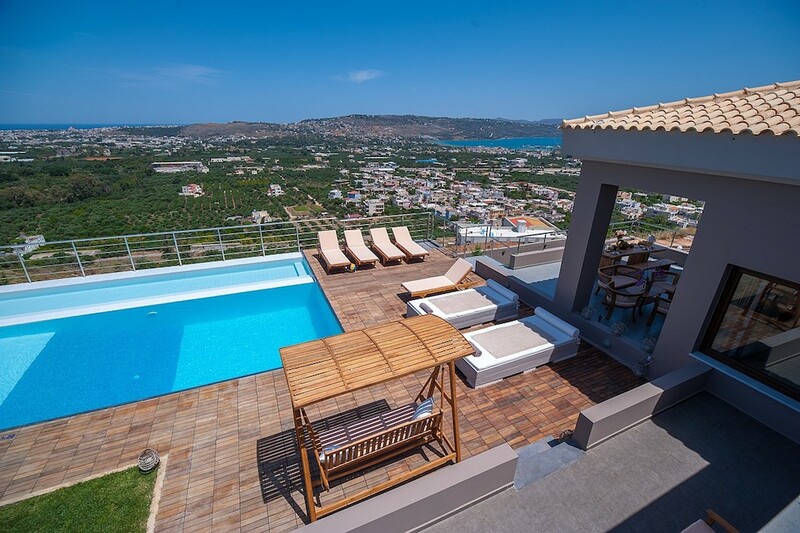 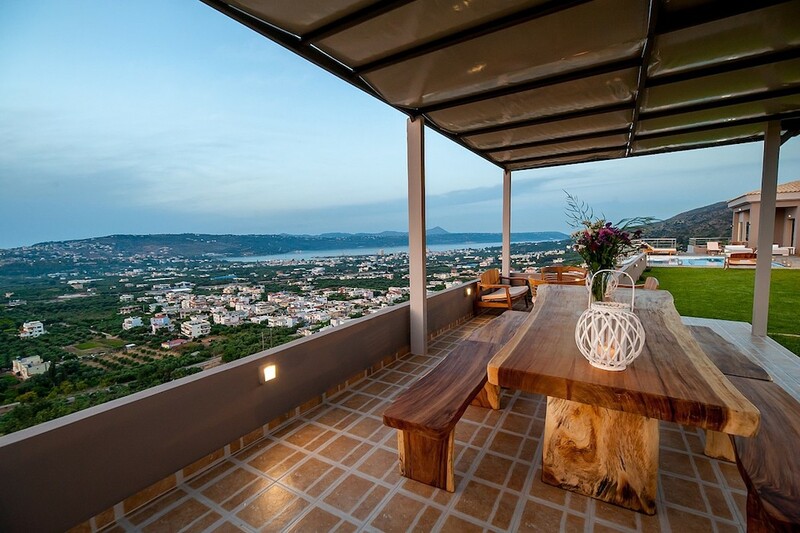 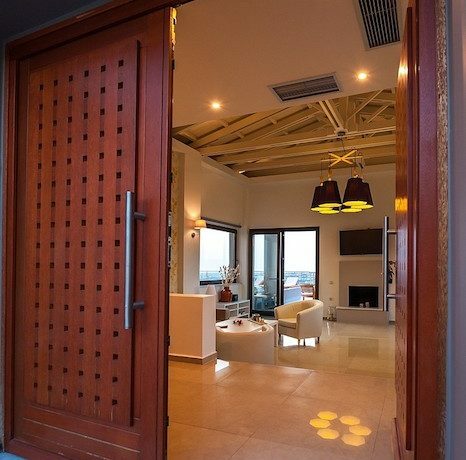 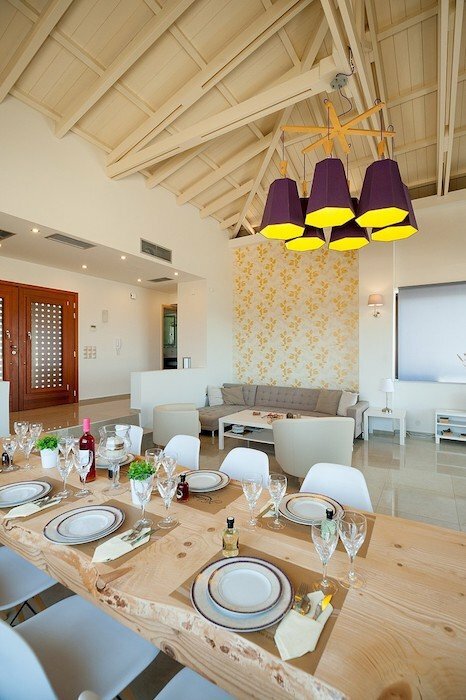 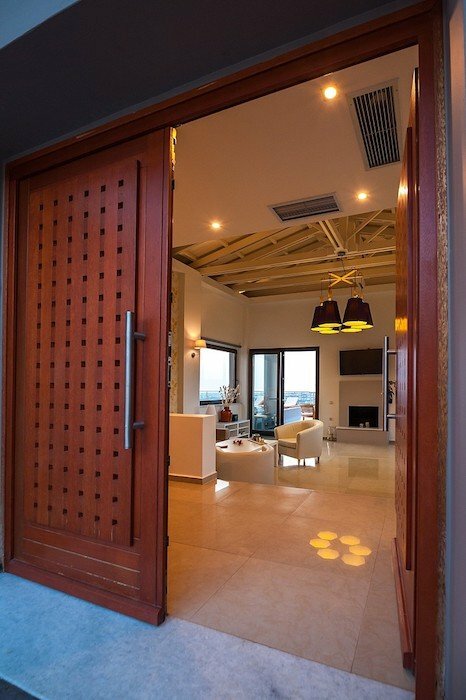 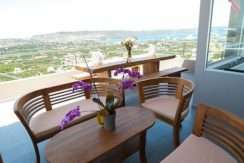 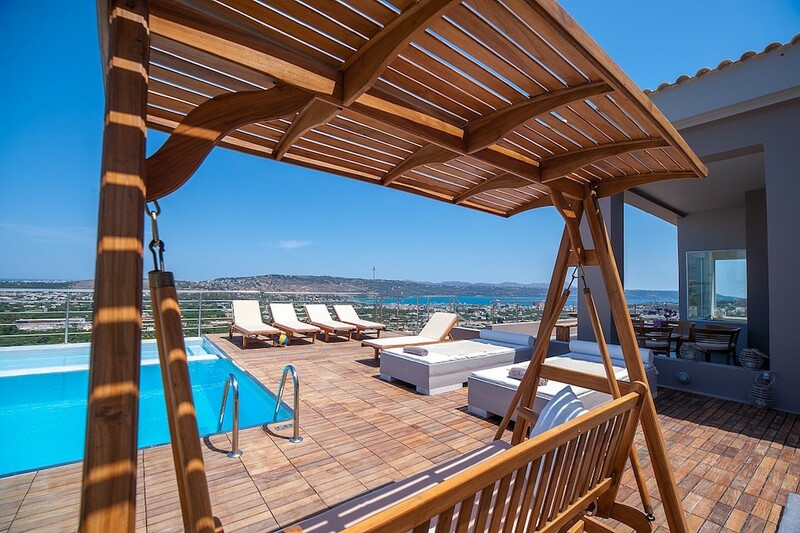 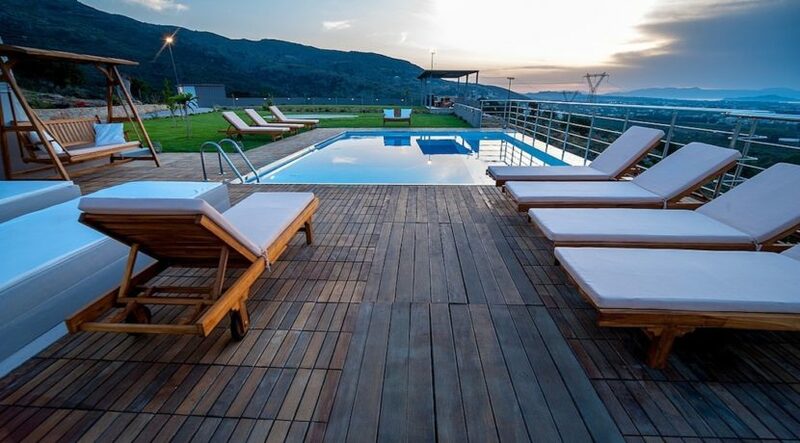 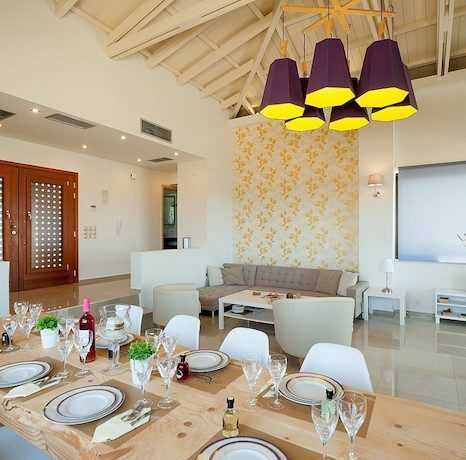 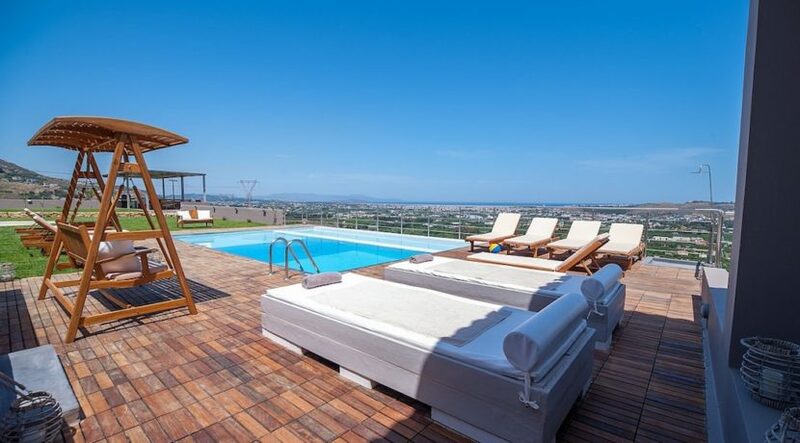 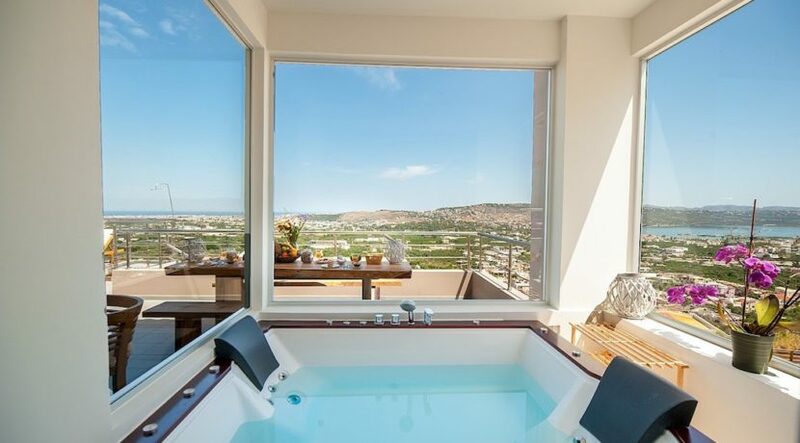 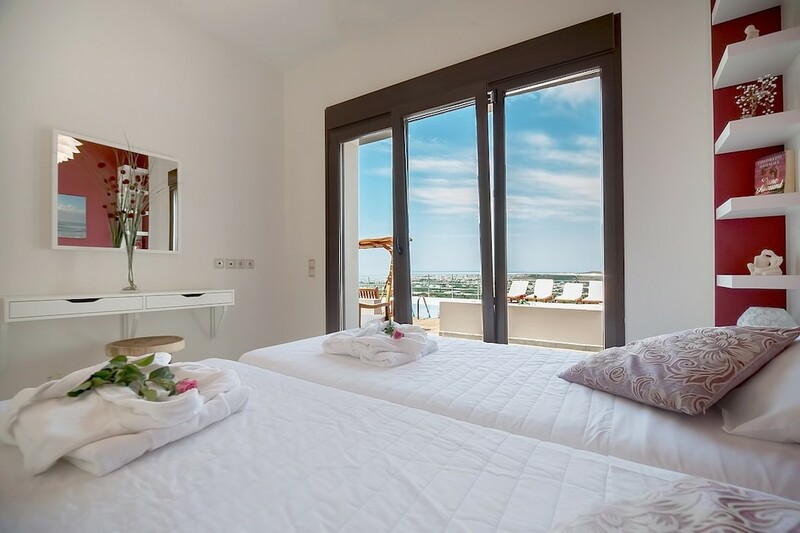 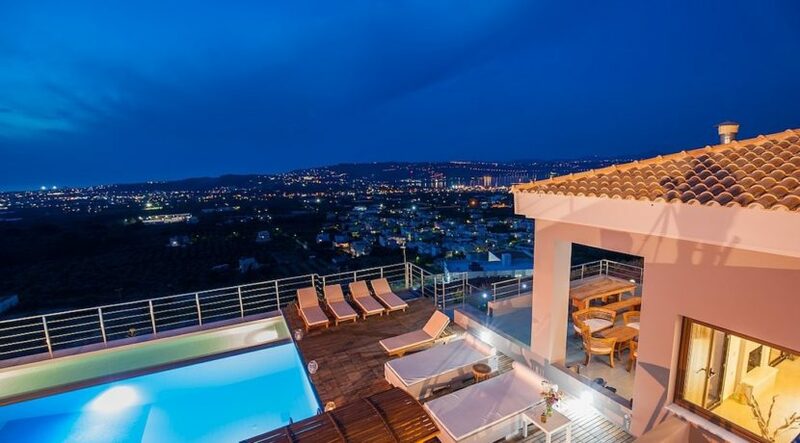 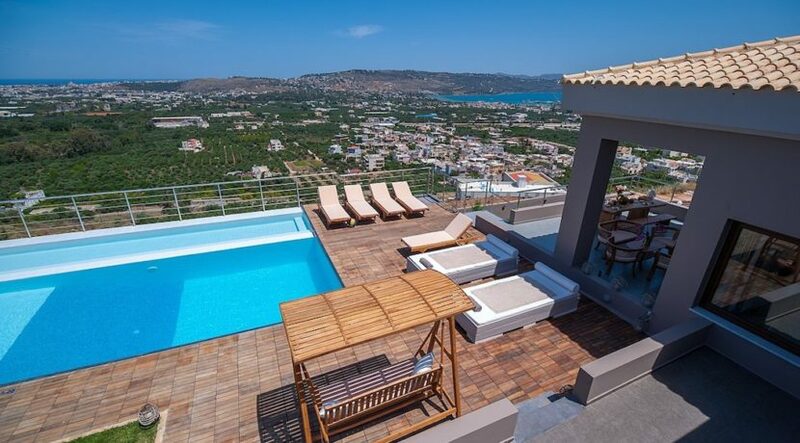 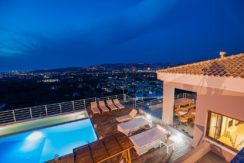 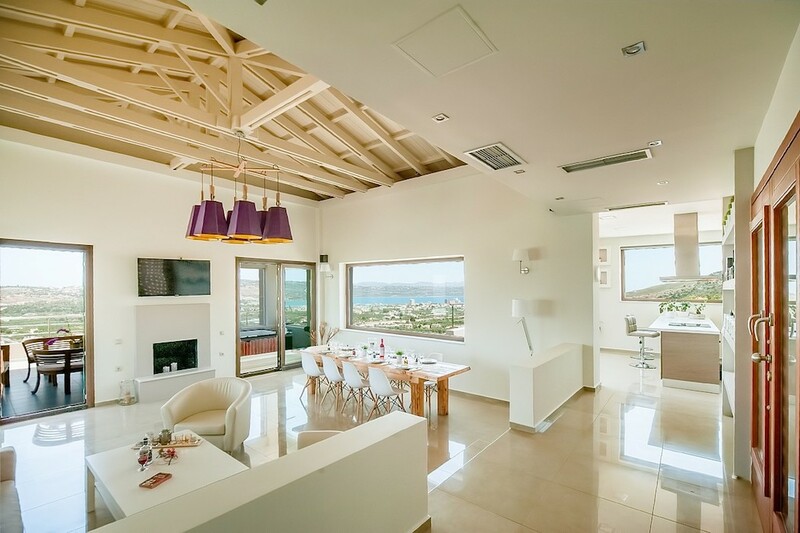 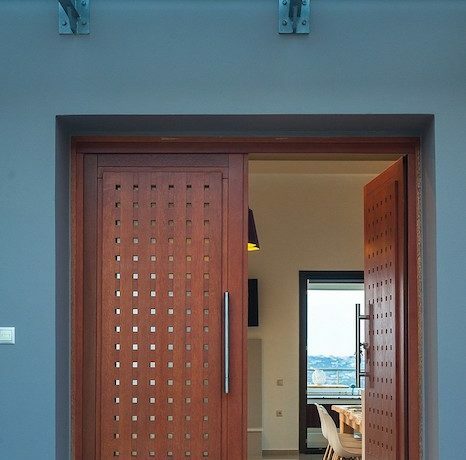 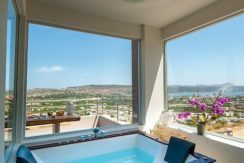 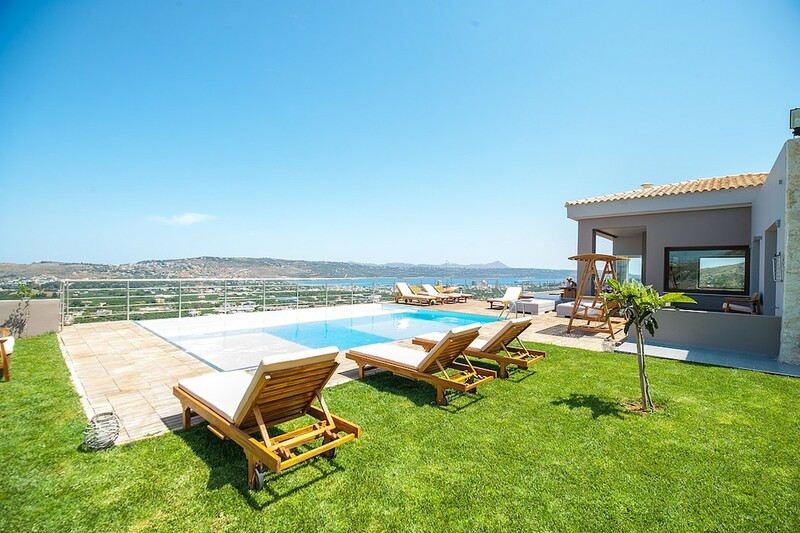 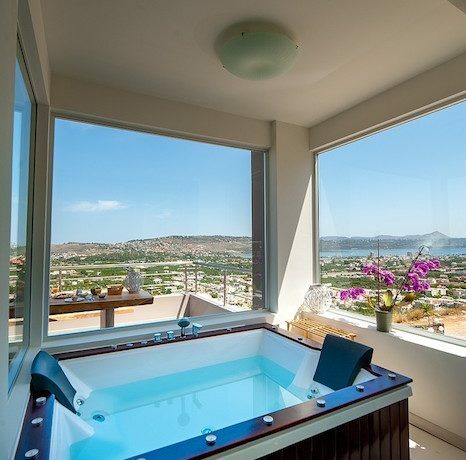 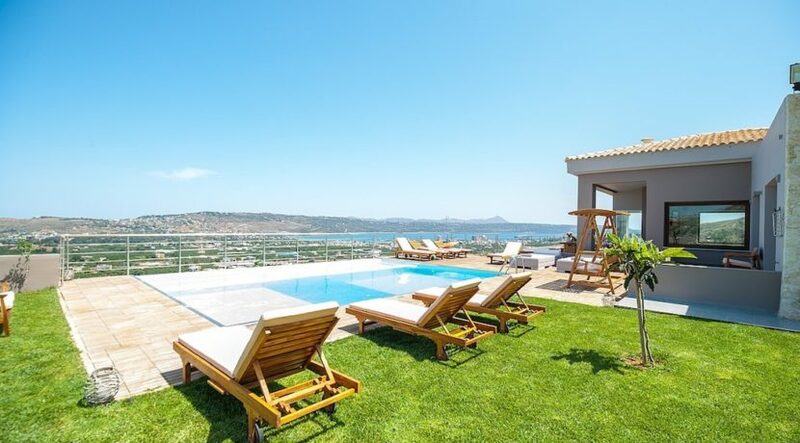 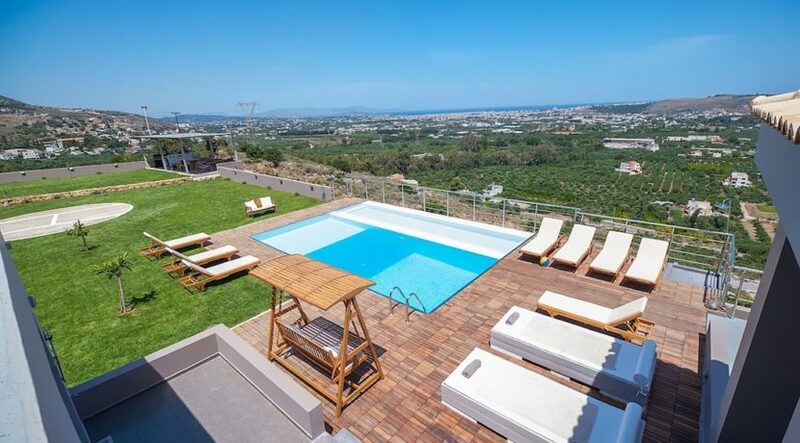 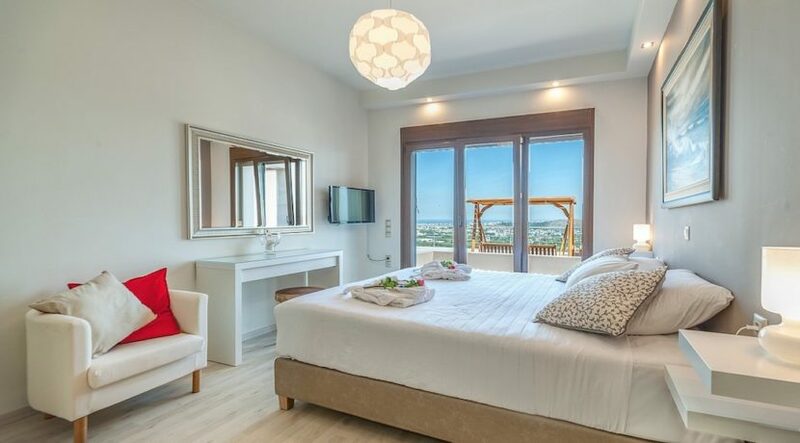 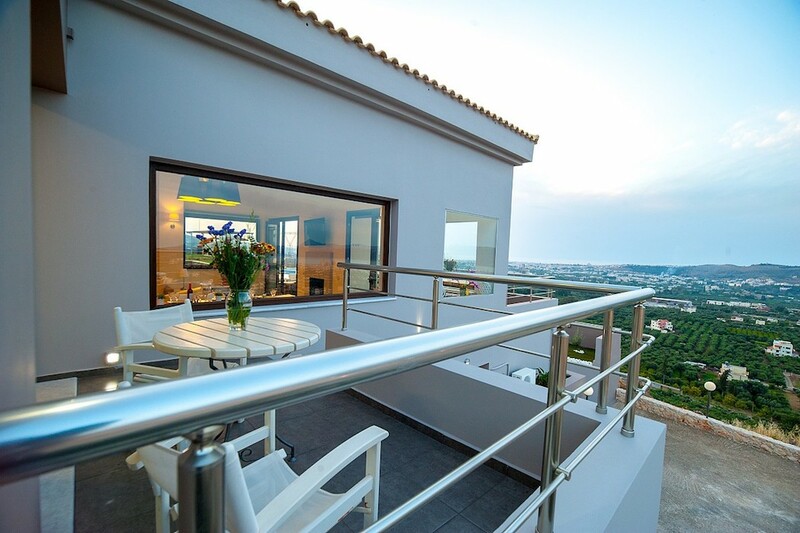 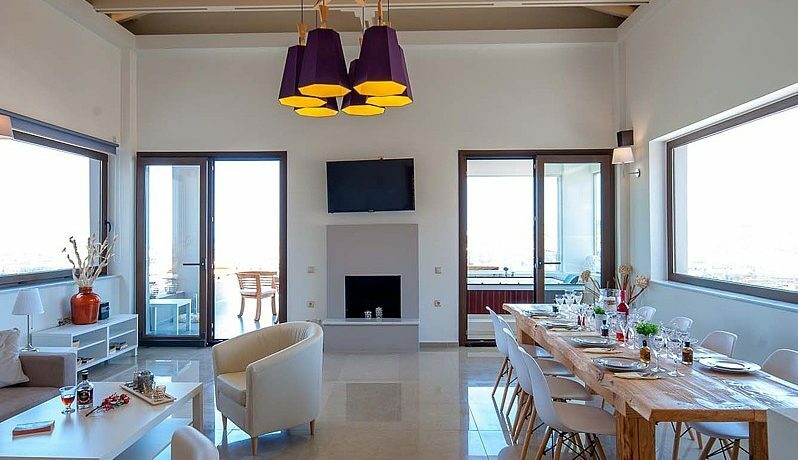 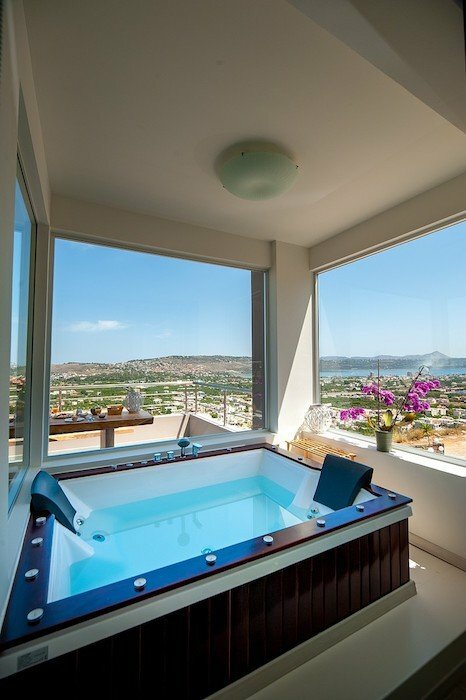 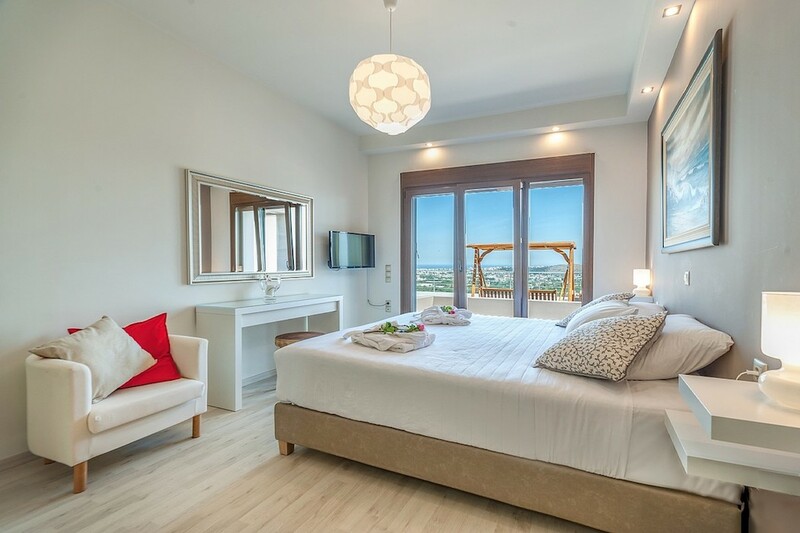 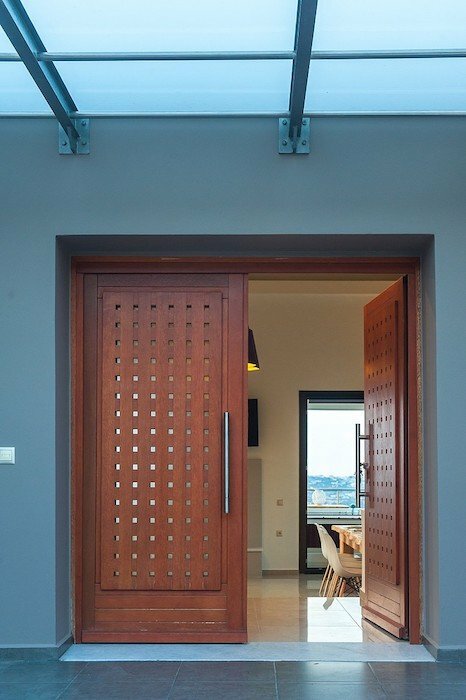 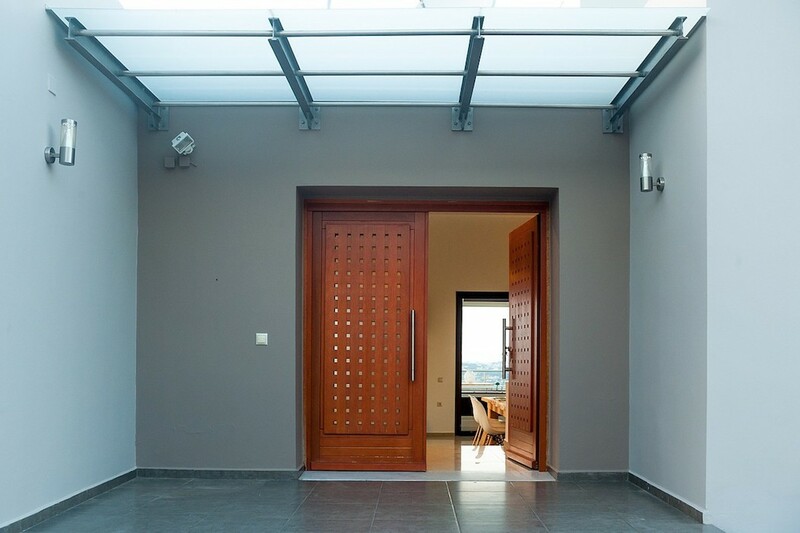 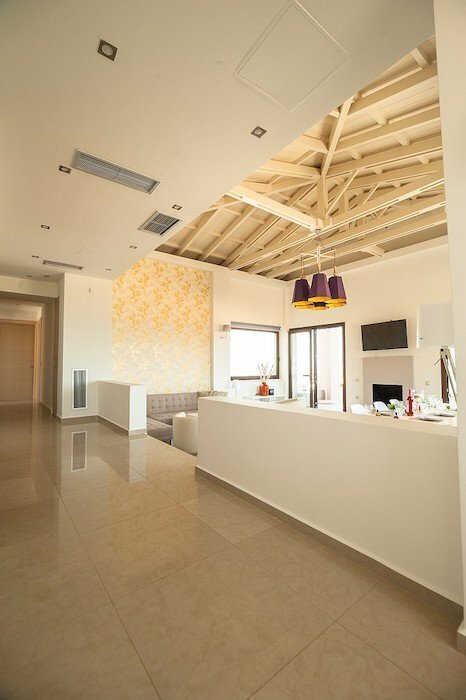 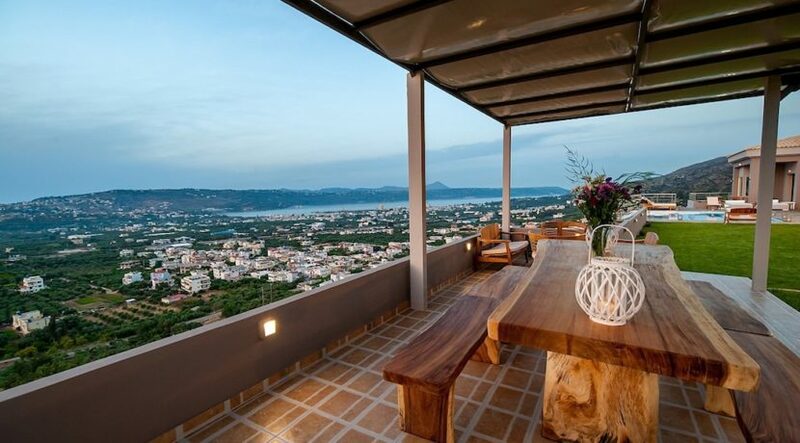 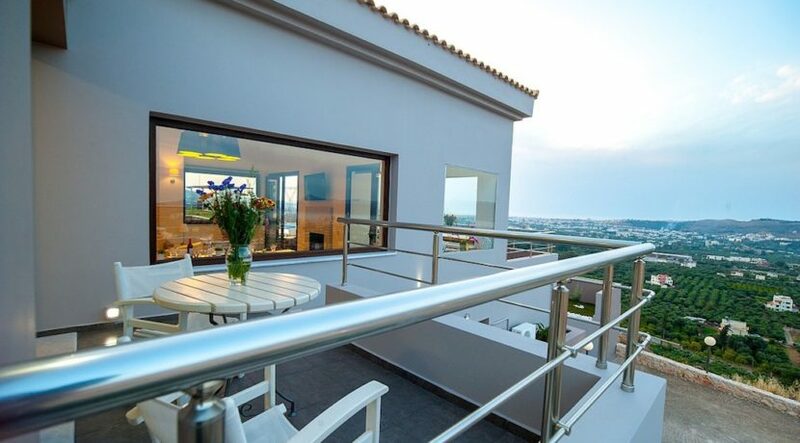 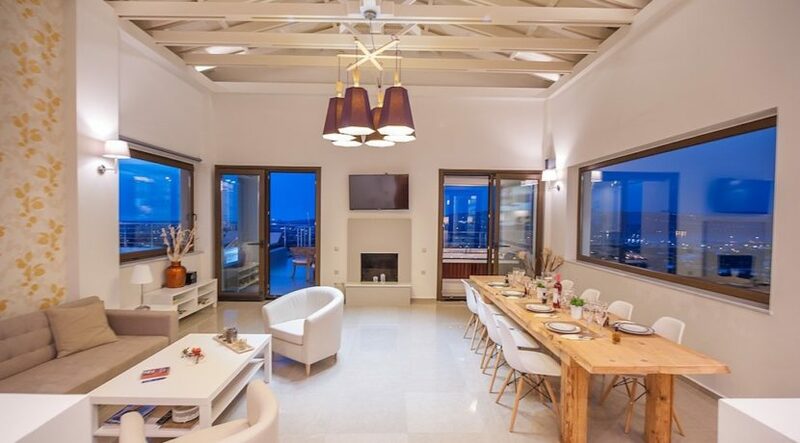 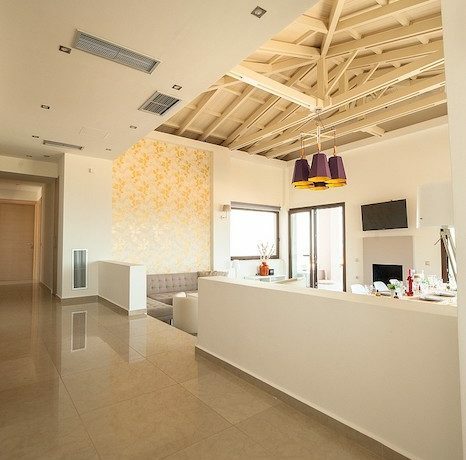 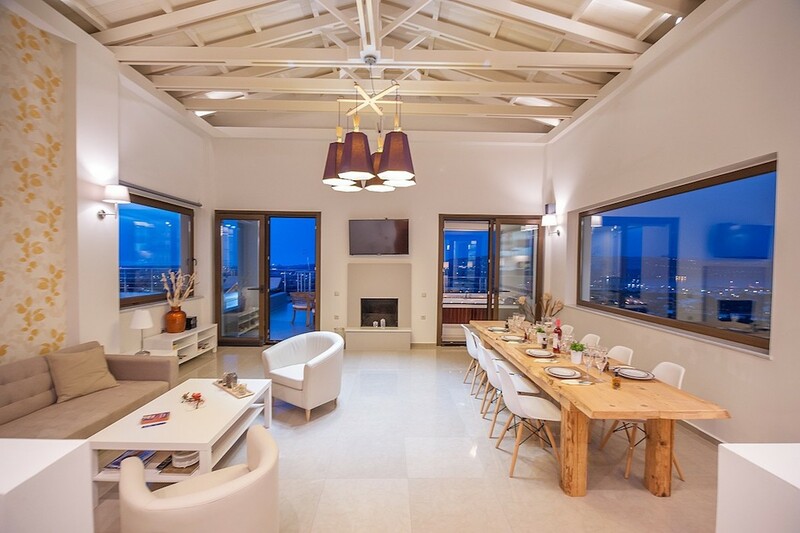 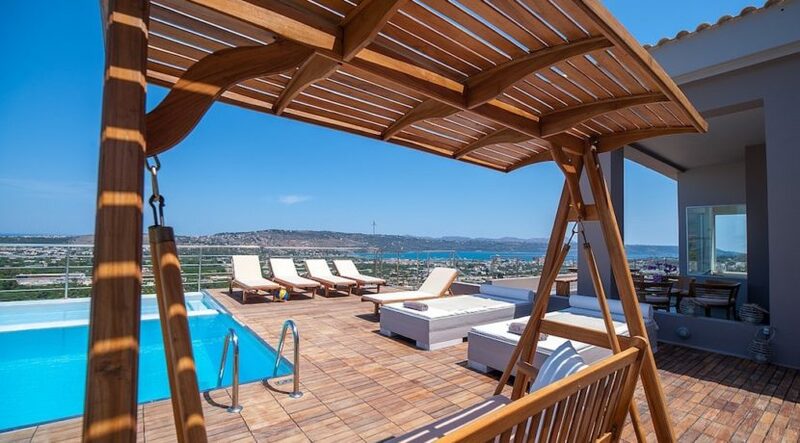 The villa commands sweeping views of the Chania bay and town from its elevated position. 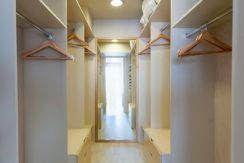 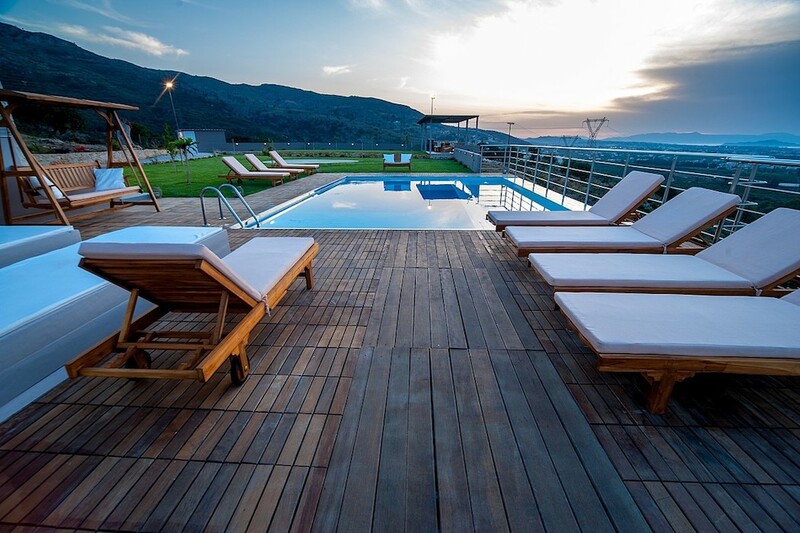 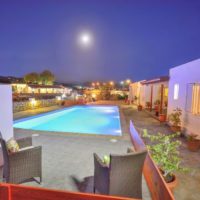 Situated in an ideal location it is a perfect haven for rest, comfort and luxury. 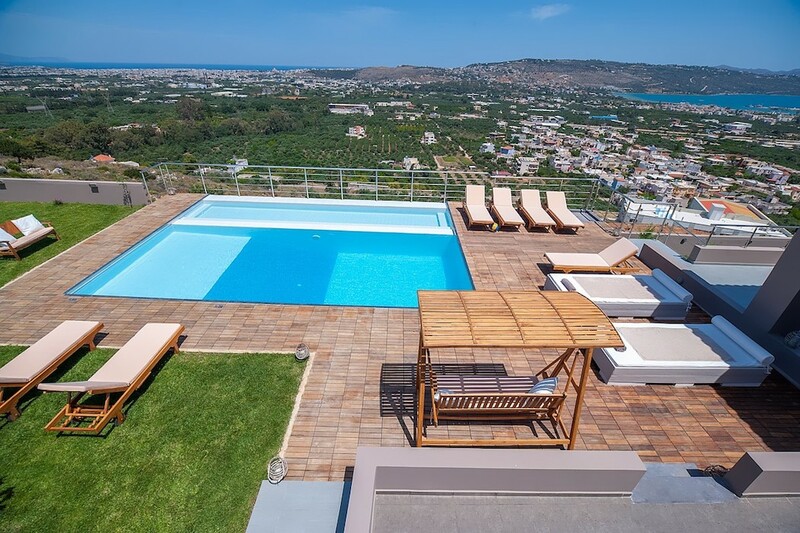 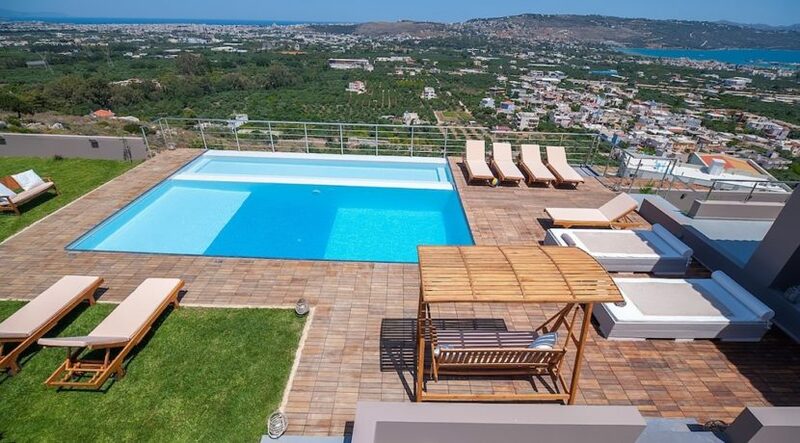 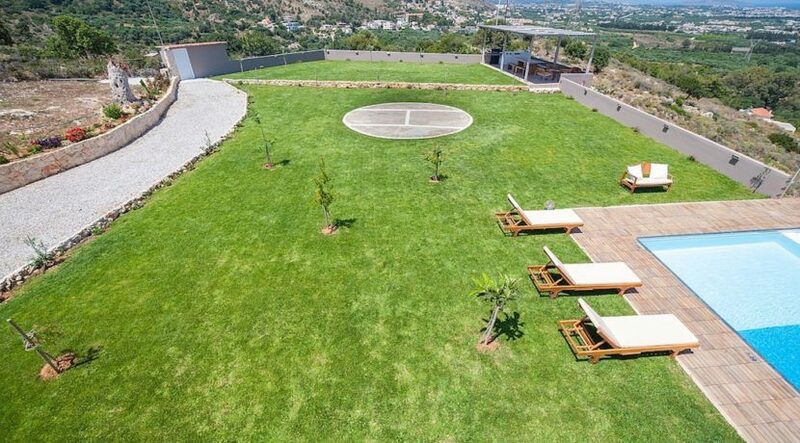 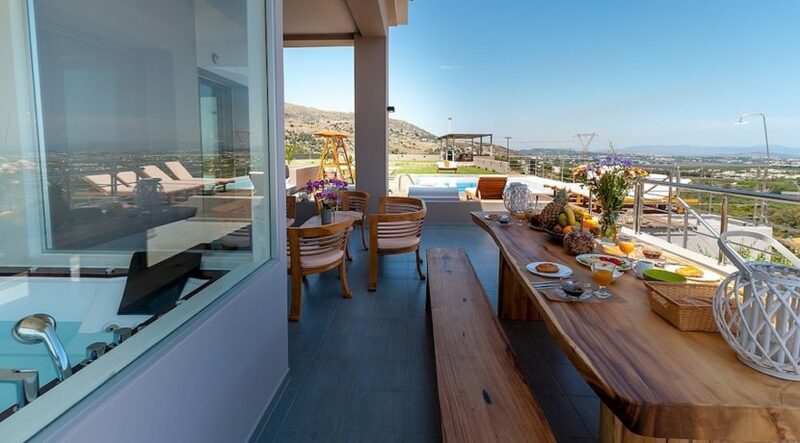 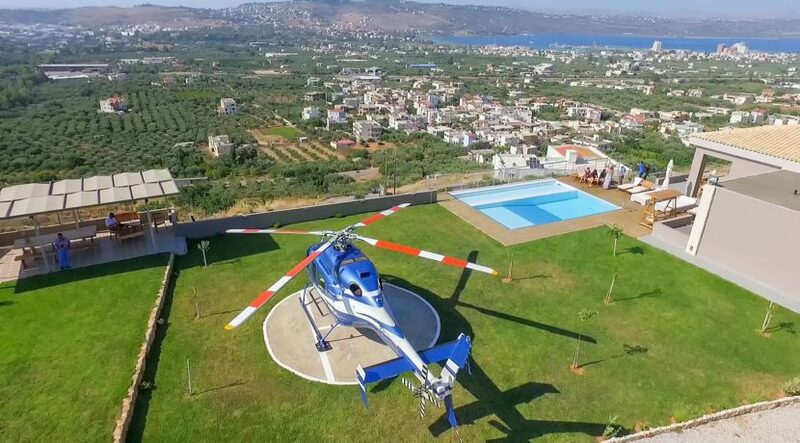 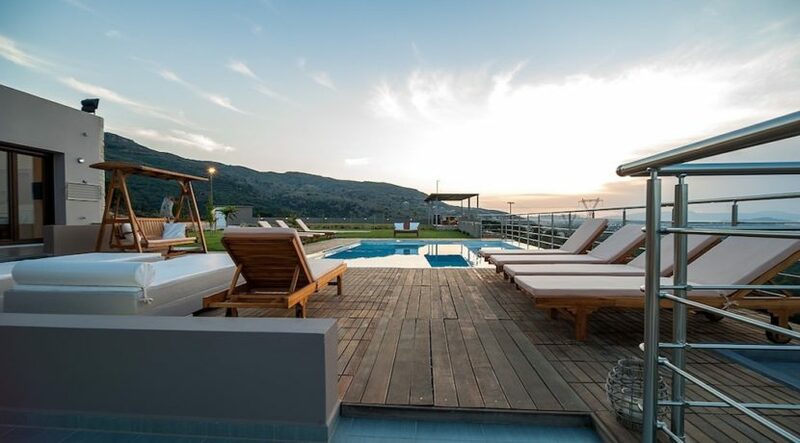 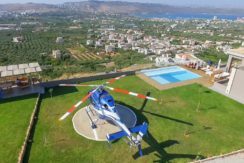 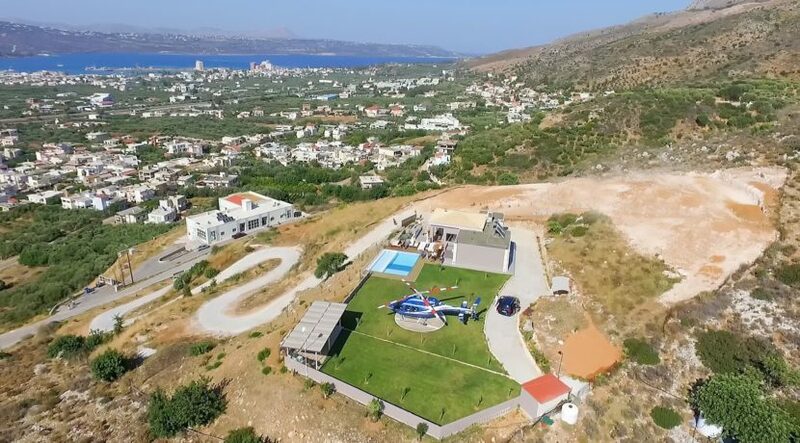 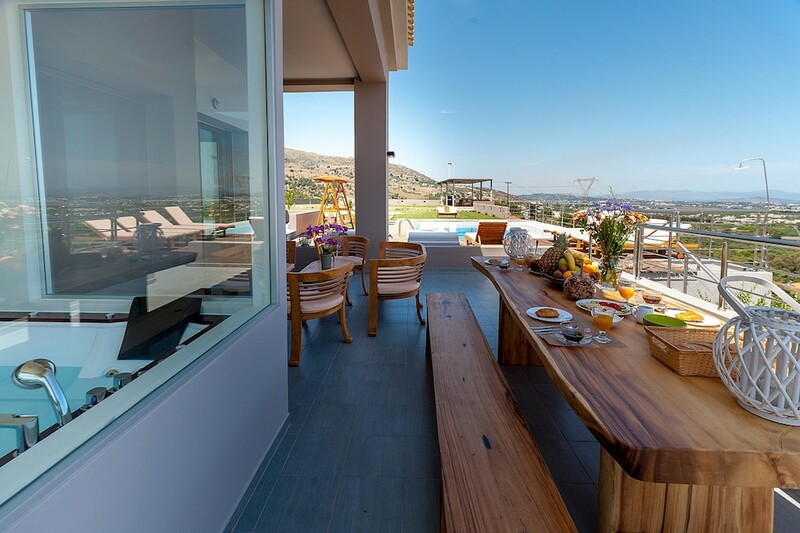 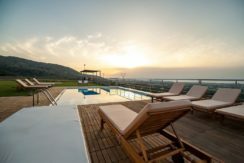 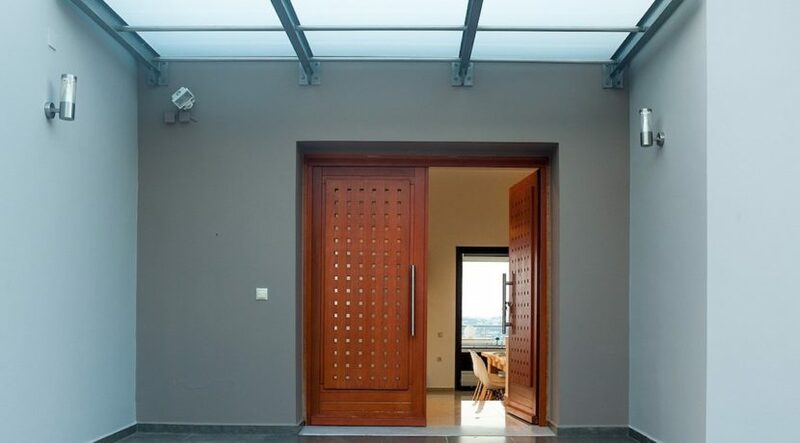 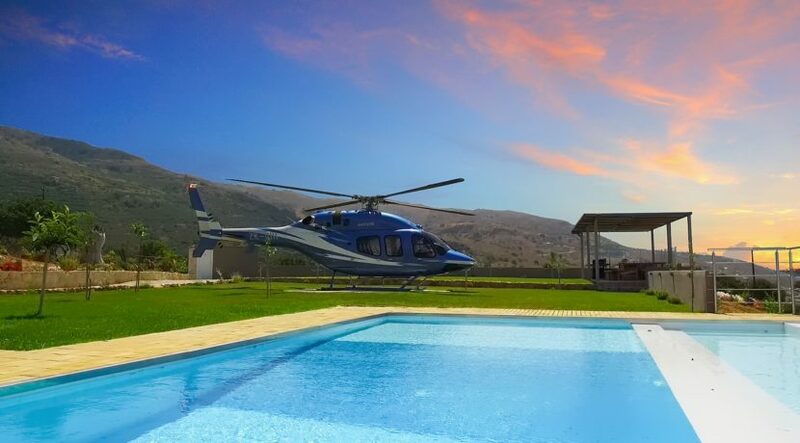 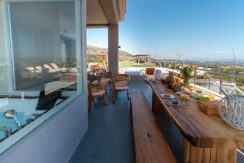 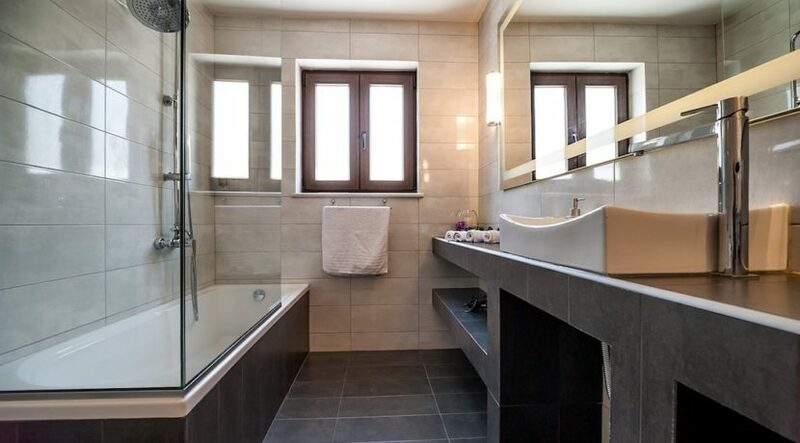 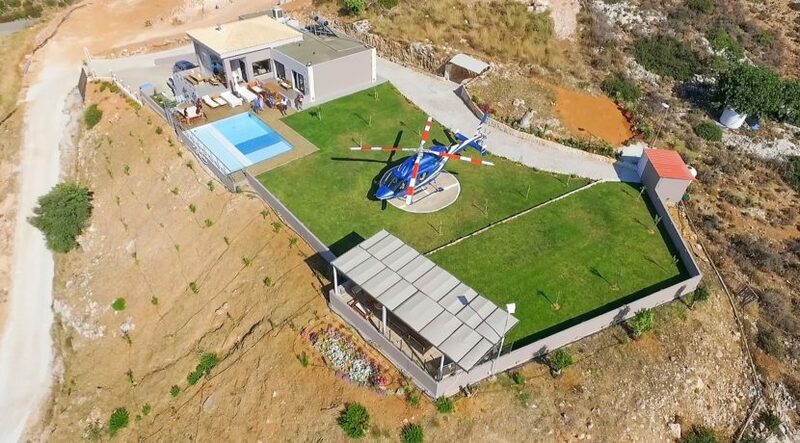 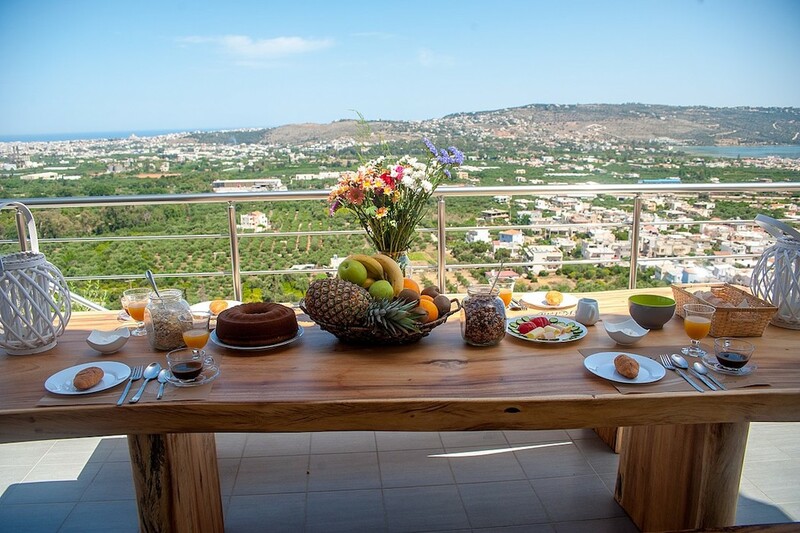 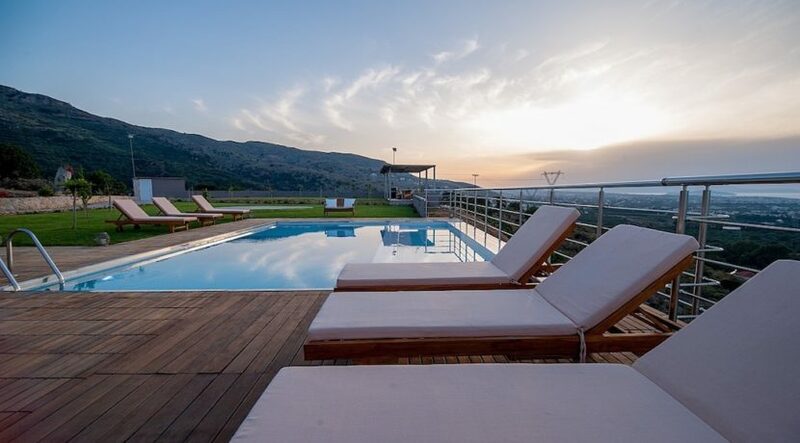 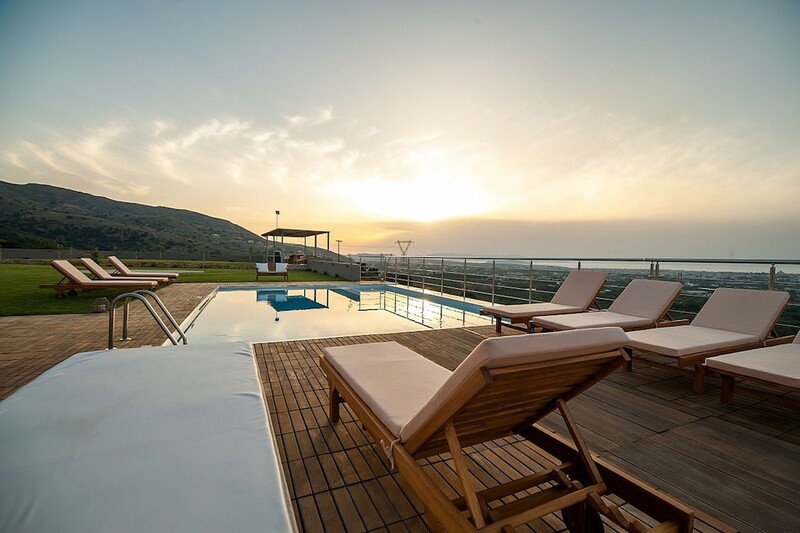 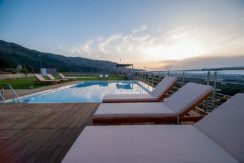 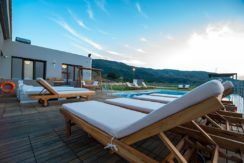 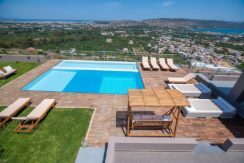 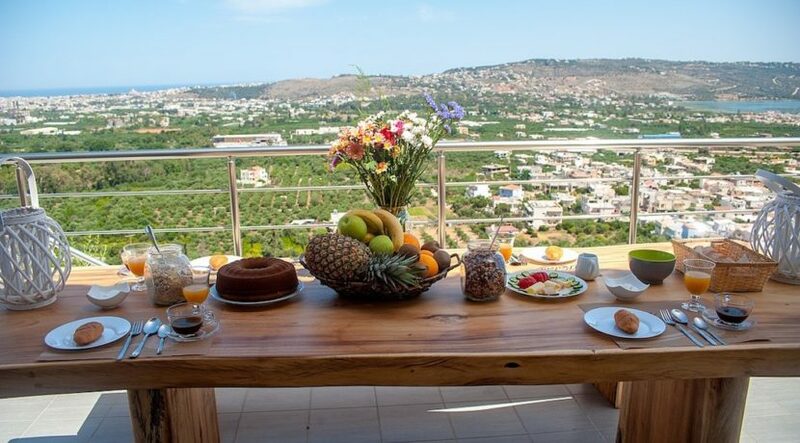 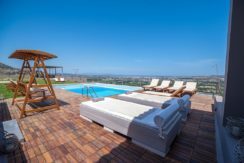 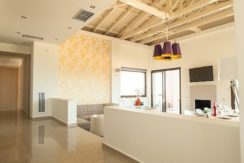 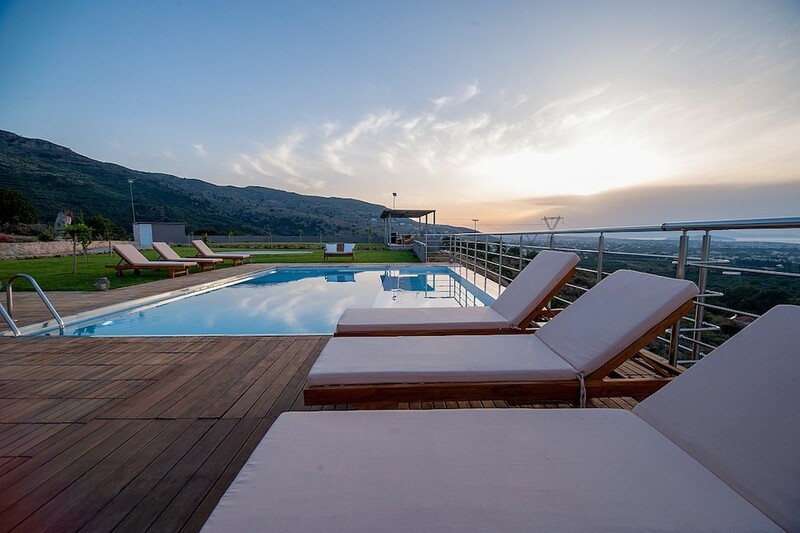 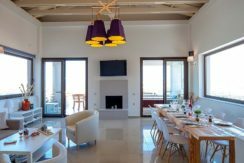 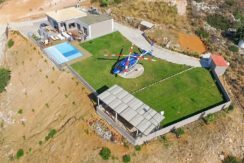 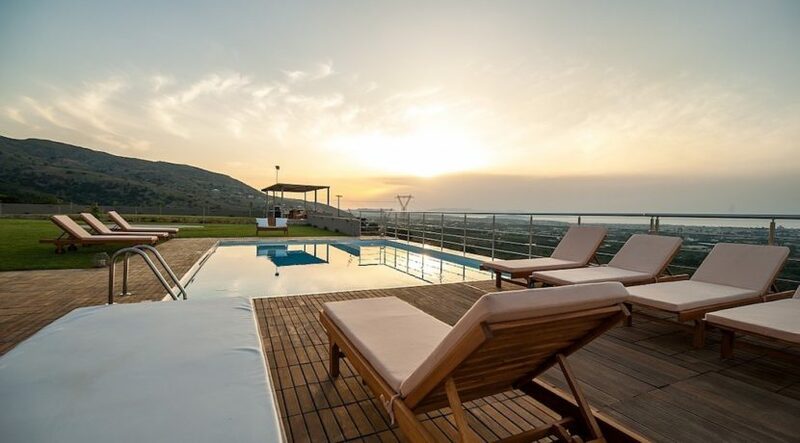 Situated on a 2650m2 private hillside property and offers the most peaceful and stunning view of rolling green hills of 12.000m2 and a full view of Chania town and its suburbs. 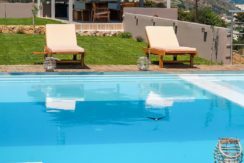 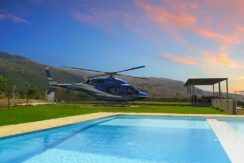 This outstanding (3) bedroom villa provides you with the luxury of a pool, a landscaped garden and the privilege that only a few can enjoy; a licensed helipad. 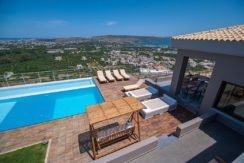 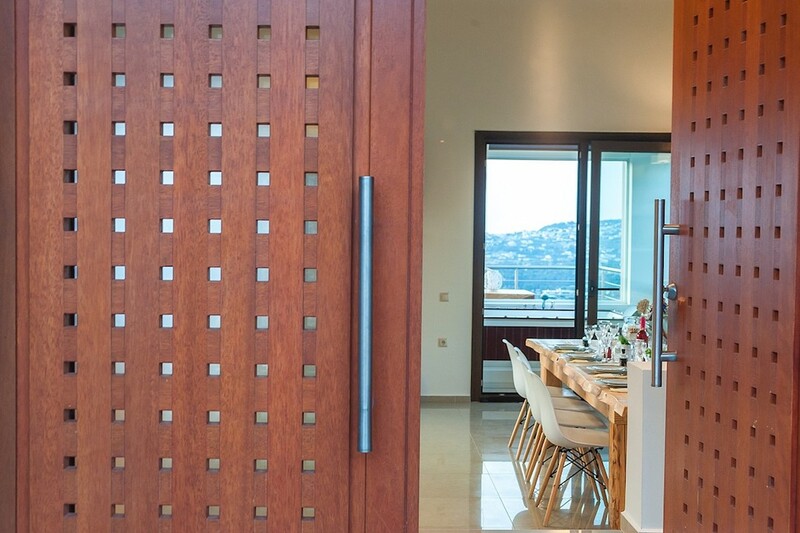 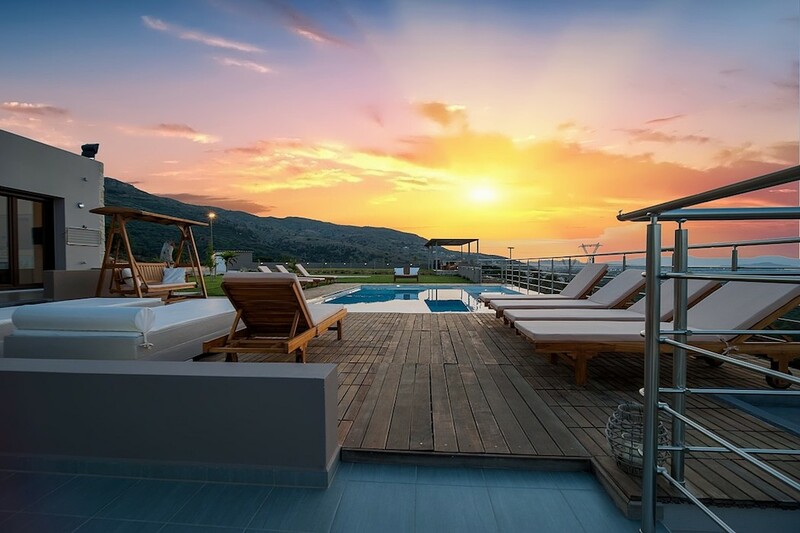 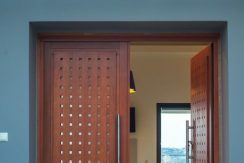 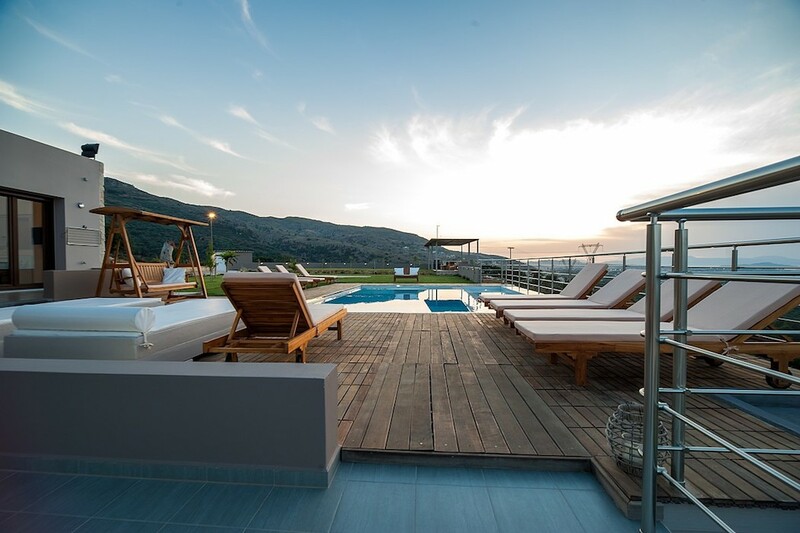 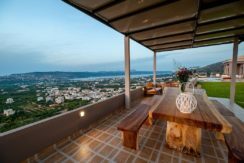 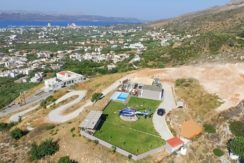 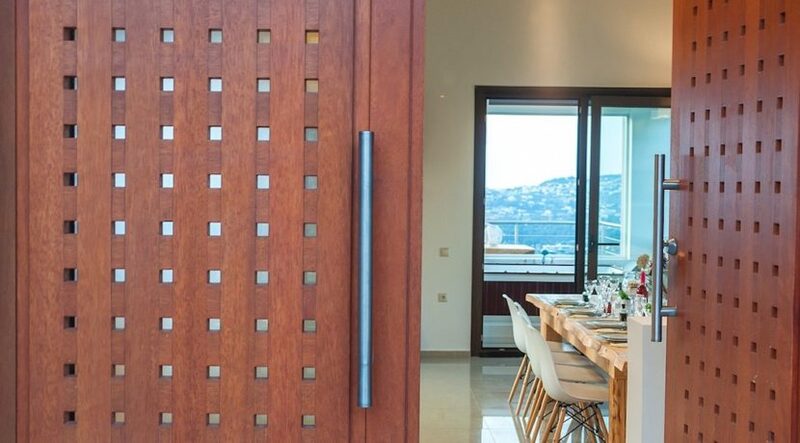 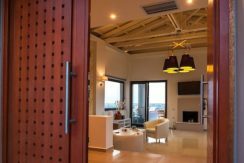 The luxury villa is in commanding position with breathtaking panoramic views to the cosmopolitan city of Chania, overlooking Souda bay. 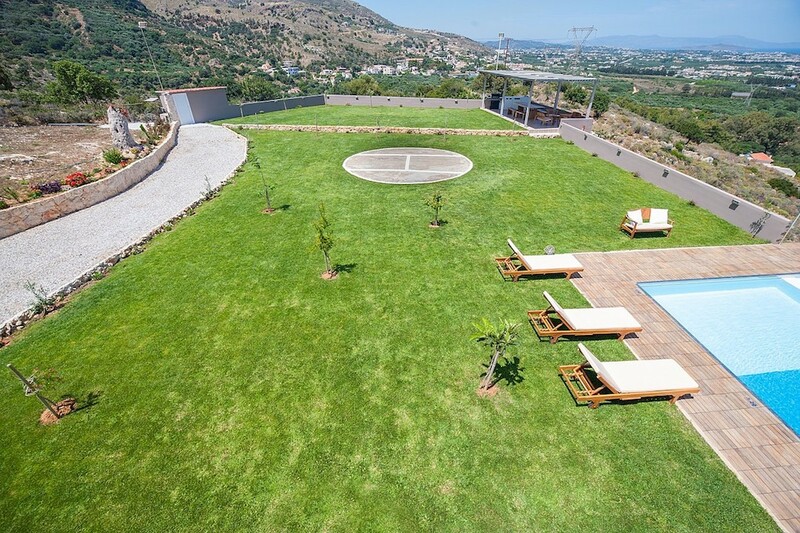 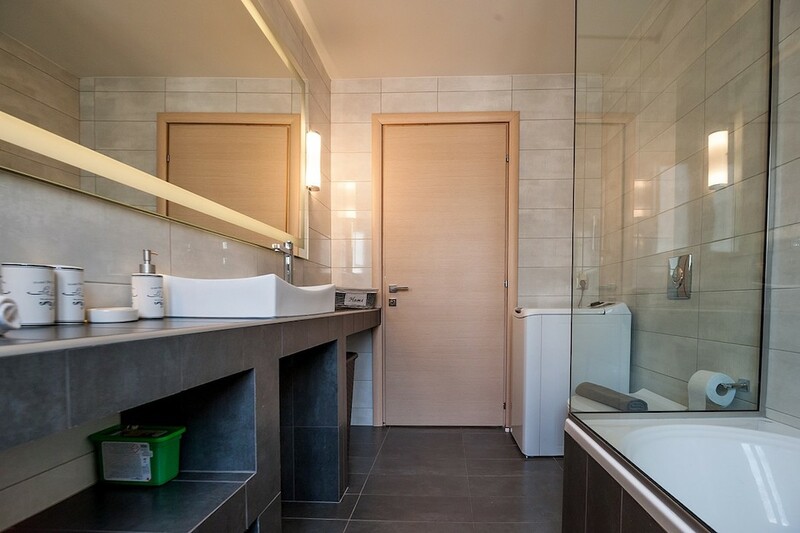 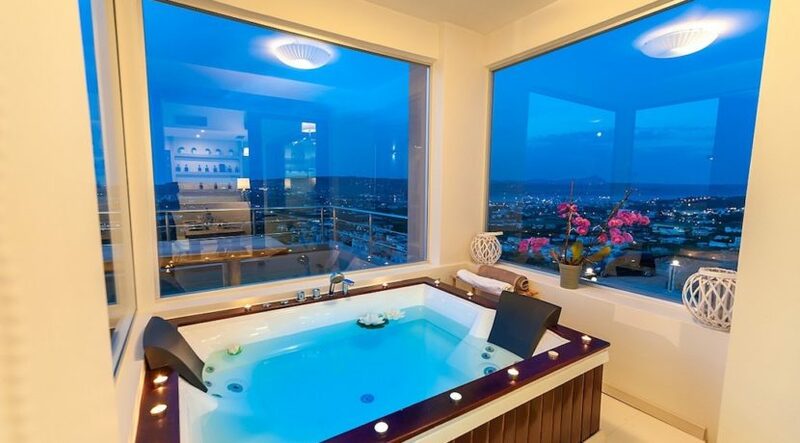 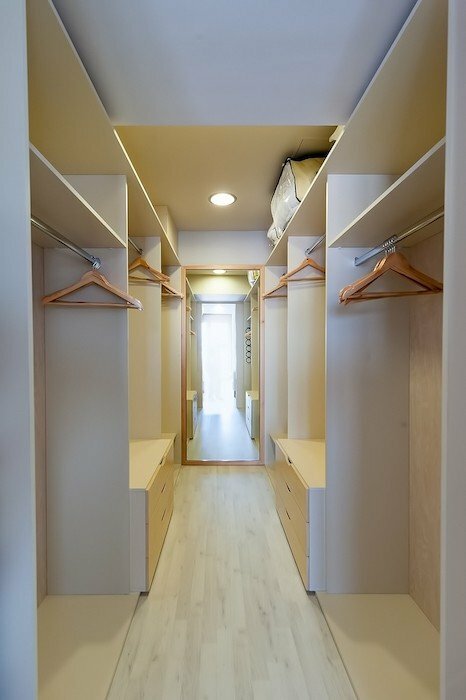 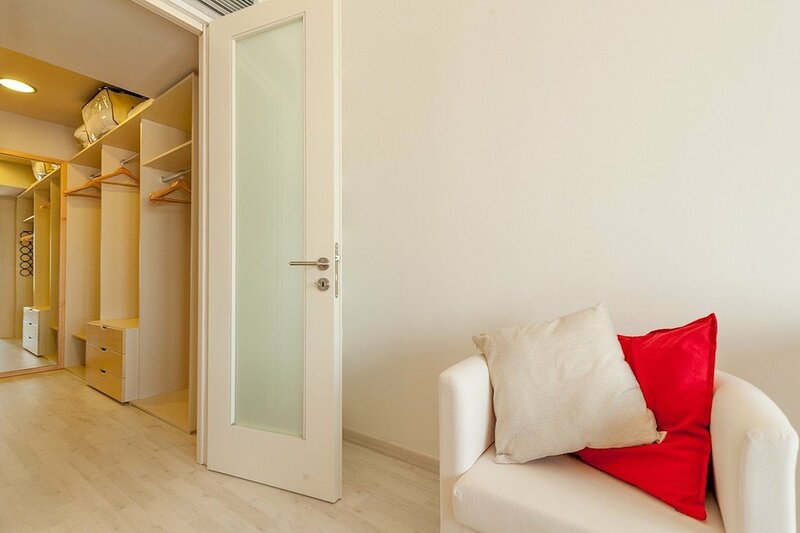 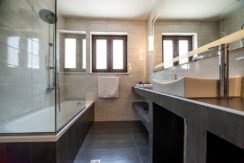 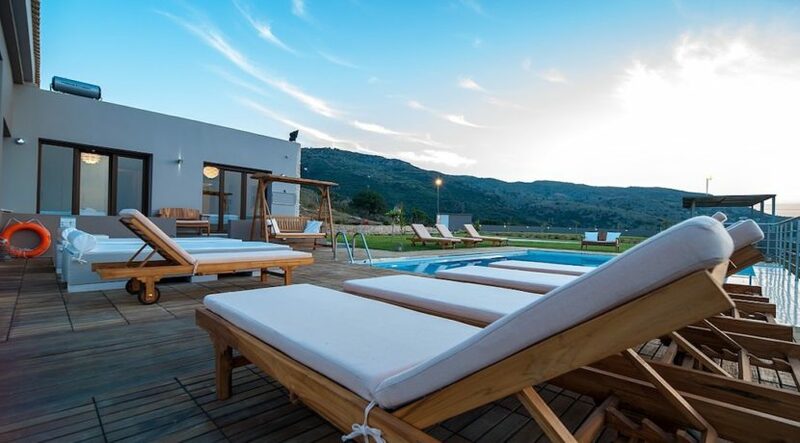 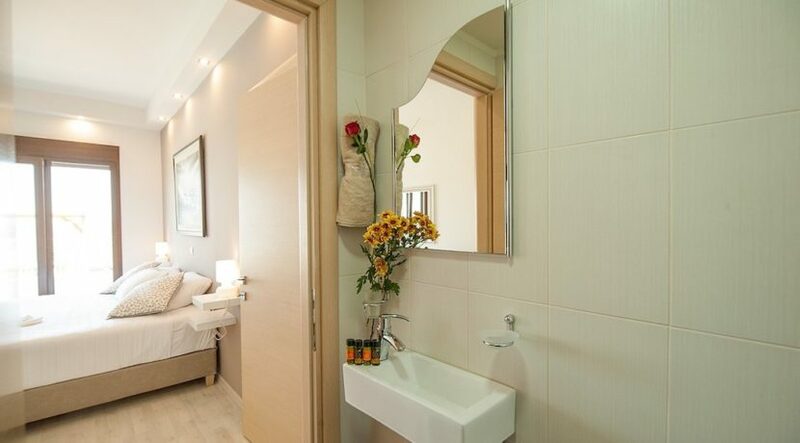 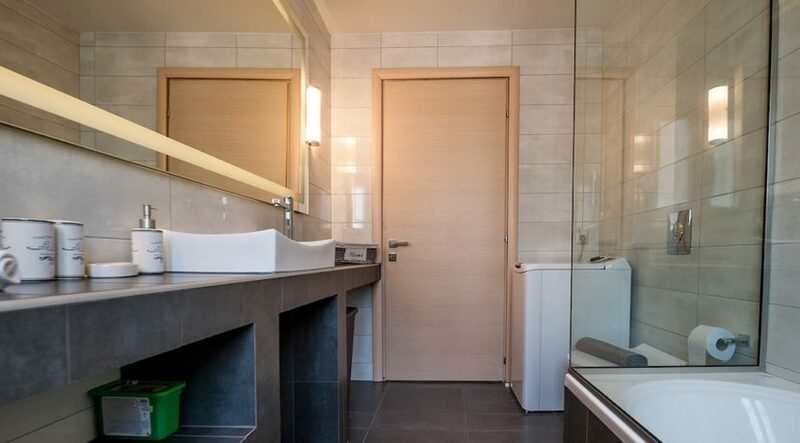 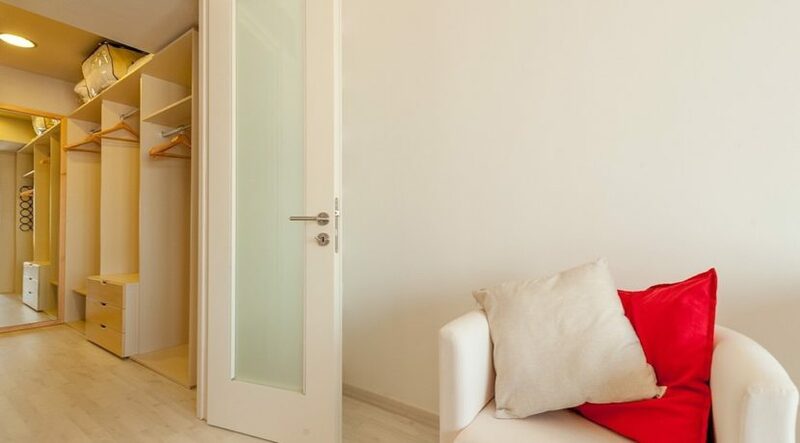 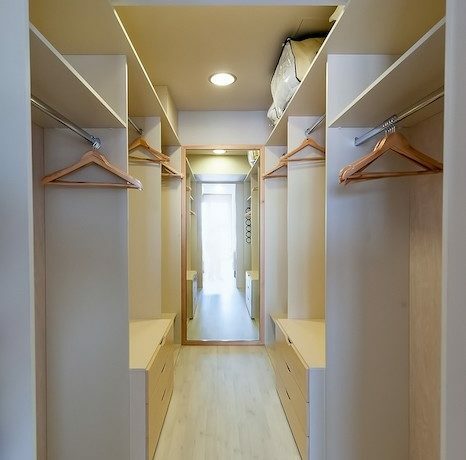 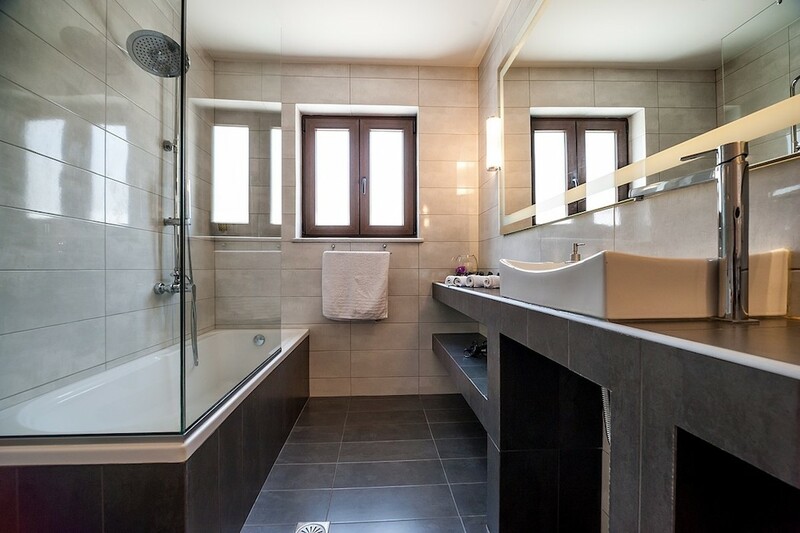 just 6 km from the city center you will have the benefit of privacy yet not been secluded. 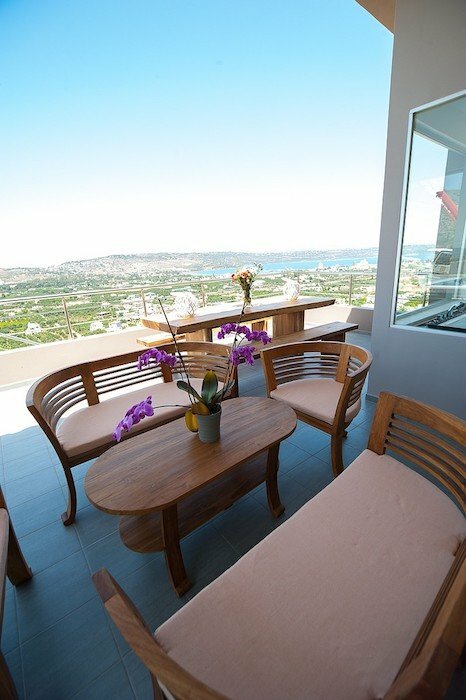 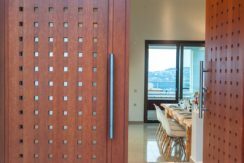 Upon your entrance, you are found in an open air sun bathed space, surrounded with shutter windows that will offer stunning views as far as the eye can see. The touch of an attic-like wooden ceiling in light coloring will give a classy and cozy feeling along with a fireplace that will offer you mesmerizing moments. 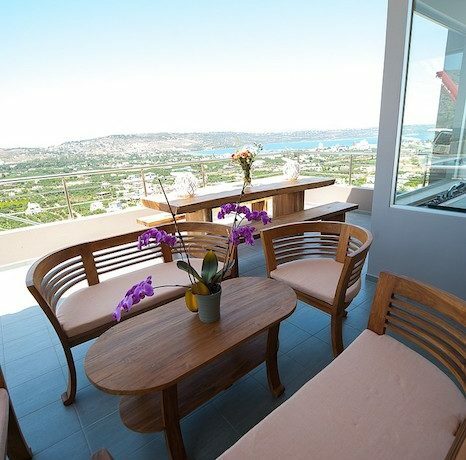 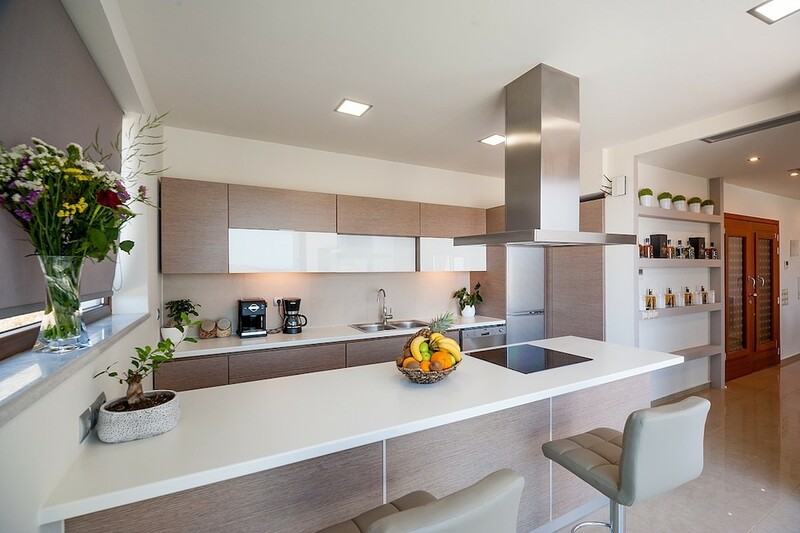 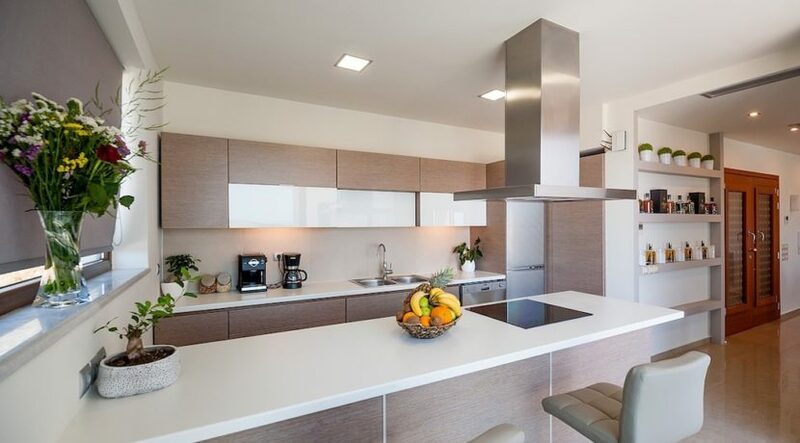 The spacious kitchen on the right of the entrance, has state of the art equipment and its own balcony to add to the spectacular views. 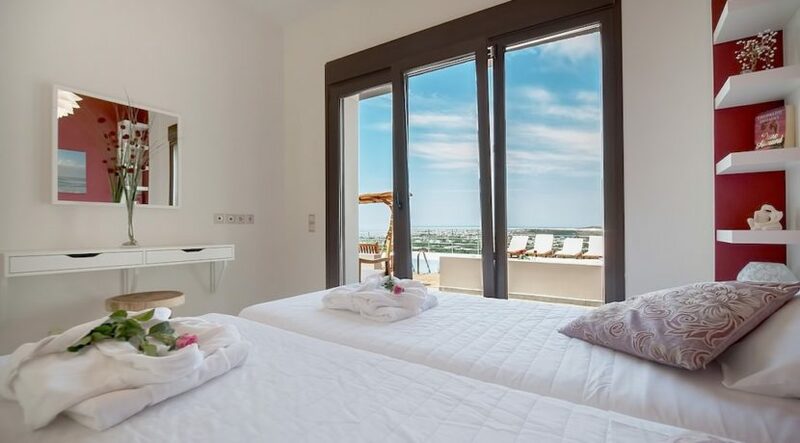 second bedroom has two single beds that can be joined in one double. 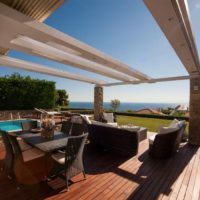 This splendid villa offers vast landscaped spaces and a patio with a barbeque to create delicious memories with family and friends. 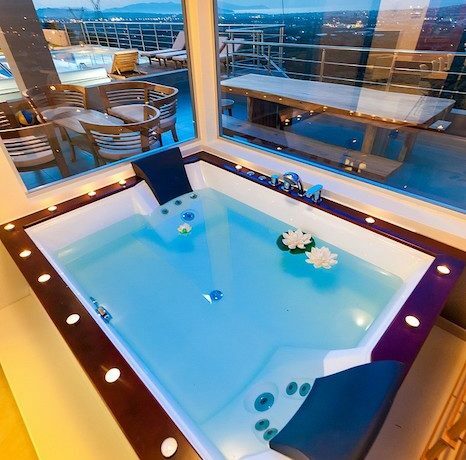 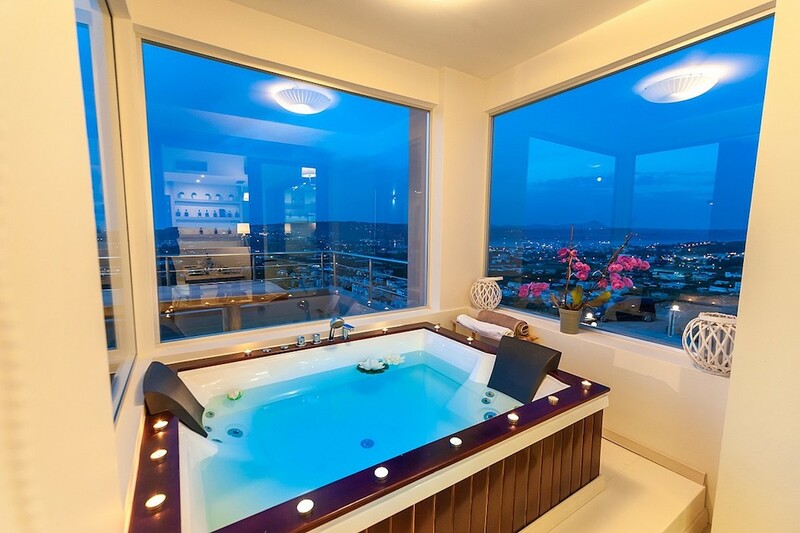 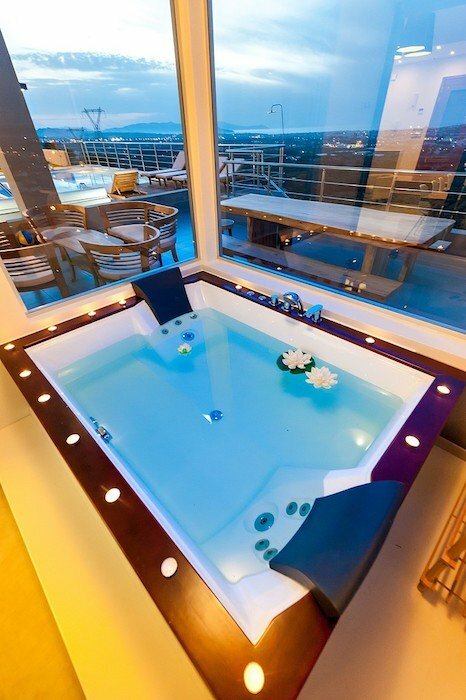 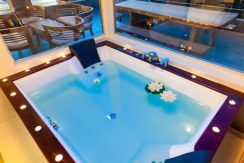 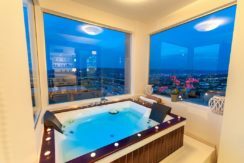 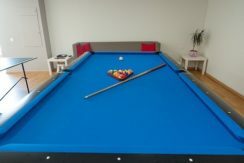 You have the luxurity of a Games Room at the villa is an area of 50 sq.m. 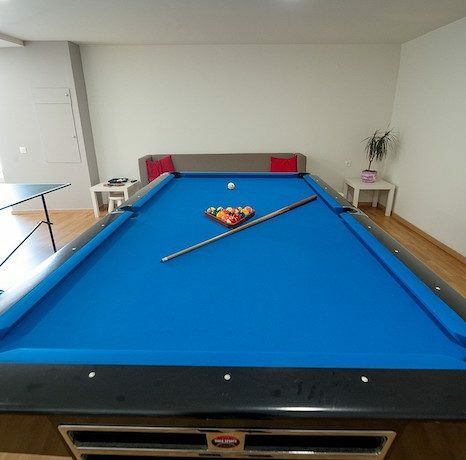 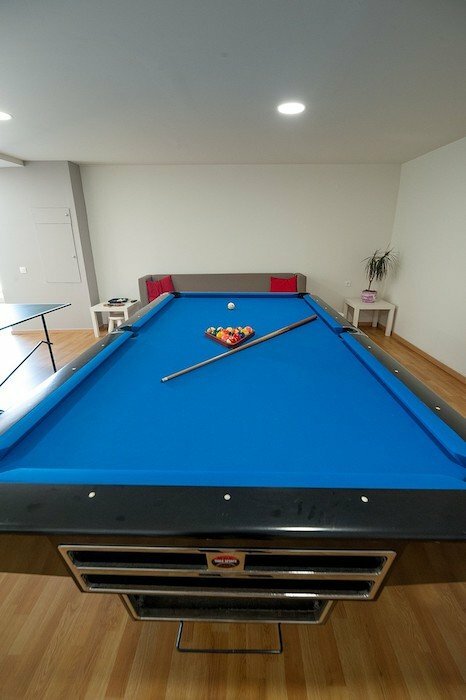 which features a standard table tennis as well as a standard sized billiard table. In the room there are comfortable sofas, wooden chairs as well as a satellite TV and air conditioning.